April 2016 | Unitex® Your Walls, Our Pride. 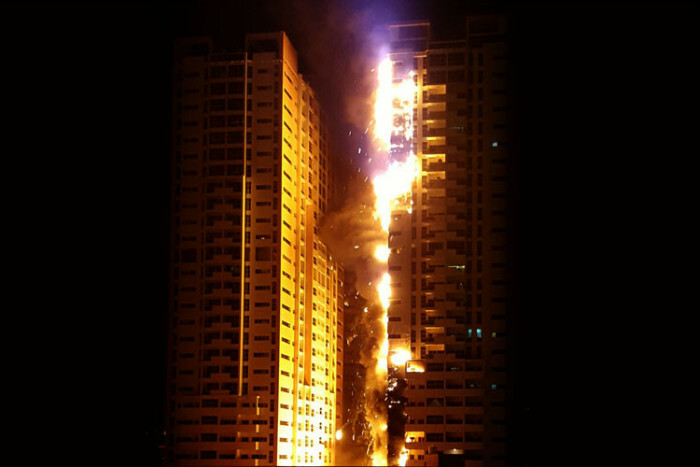 The continuing saga of high-speed building fires caused by unregulated and non-accredited cladding has been big news in Australian media, and is also causing huge headaches in the Middle East. 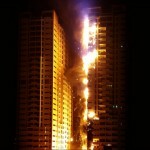 Skyscraper after skyscraper are going up in flames, often taking less than 30 minutes to ignite top to bottom. The culprit, non-accredited cladding, has been used in almost every city worldwide that has had property booms in the past 10 to 15 years. All major cities in Australia have used the Aluminium Composite Panels on hundreds of buildings. Even Melbourne’s tallest building, Eureka, has been found to have flammable cladding. Unitex Director, Andrew Concannon, has been on the forefront of cladding solutions for decades. “We decided to ensure our cladding systems were accredited, and achieved high Bushfire Attack Level (BAL) ratings very early on. While competitors sold systems with unknown ratings, and possibly even non-conforming, we wanted the peace of mind of selling accredited systems so people would not end up in the situation they find themselves in now, with building owners, builders and building practitioners playing the blame game with these fire hazards”. “Measures to be taken by the ABCB include considering mandatory third-party accredited certification of cladding materials, a much more stringent option than the mandatory certification it considered last year, which could have allowed self-certification by product manufacturers. It will also look into developing a new verification method referencing a new Australian Standard for determining the fire combustibility of wall claddings and wall assemblies”. Unfortunately these measures and changes will not help the hundreds and thousands of innocent home and apartment owners who find themselves in a building that may catch fire, and burn quickly when it does.